PT Pertamina Hulu Energi - PT PHE is a reputable oil and gas company in Indonesia, based in Jakarta. 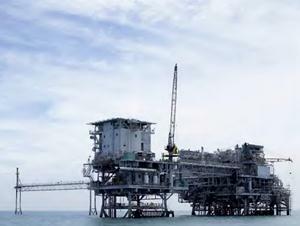 PT PHE has strong business competencies on upstream oil and gas industry. Its business include oil and gas exploration activities both domestic and overseas as well as related and supporting business in oil and natural gas sector. PT Pertamina Hulu Energi is an upstream subsidiary company of state-owned oil company PT Pertamina (Persero). At present, PT Pertamina Hulu Energi is 98.72% owned by PT Pertamina (Persero) and 1.28% by PT Pertamina Dana Ventura. According to PT PHE's company profile as cited by JobsCDC.com, PT PHE has 57 subsidiaries (as of December 2016). Its subsidiaries include 51 domestic subsidiaries and 6 overseas subsidiaries. PT PHE also supported by 8 Joint Venture Companies and 3 affiliated companies. Background in Diploma (D3/D4) from Department of Mechanical Engineering, Chemical Engineering, Electronic and Instrument Engineering, and Petroleum Engineering. Minimum GPA of 3.00 out of 4.00. Maximum age 25 years old (as of 31 December 2017). Fresh graduate or maximum 2 years work experience. Have TOEFL certification with minimum score 350. Test location : Jakarta, Bandung, Surabaya and Yogyakarta / Semarang. JobsCDC.com now available on android device. Download now on Google Play here. Please be aware of recruitment fraud. The entire stage of this selection process is free of charge. PT Pertamina Hulu Energi - Fresh Graduate Operator, Technician Pertamina Group September 2017 will never ask for fees or upfront payments for any purposes during the recruitment process such as transportation and accommodation.